Ophthalmology wasn’t on Dr. Cunningham’s radar at that point, but being open to new people and new experiences is what ultimately led him to focus on a career in Ophthalmology. 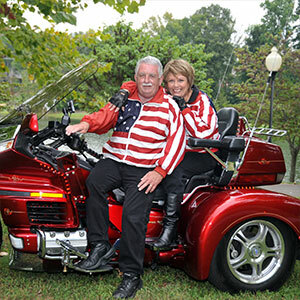 While completing a pediatric rotation in radiology, the outgoing Dr. Cunningham became fast friends with Dr. Art Adams (now a radiologist with LeConte Radiology in Maryville) whose brother was an Ophthalmologist. 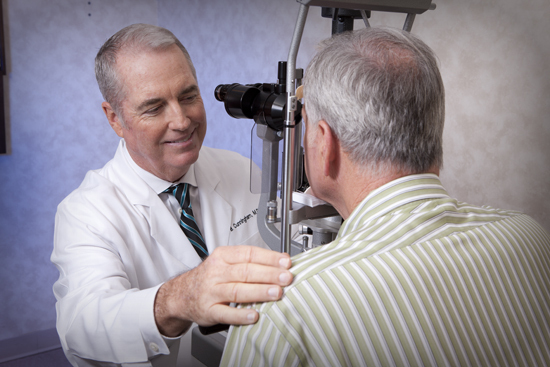 Once Dr. Cunningham discovered Ophthalmology, he says, there was no second-guessing. He knew he had found his passion, and was determined to use his medical knowledge, curiosity about advanced technologies, and genuine interest in others to help people of all ages achieve the best possible vision. In 1991, Dr. Cunningham joined the Knoxville Ophthalmology practice started by Dr. J. Ed Campbell in 1952, and has been an integral part of a number of firsts achieved by the practice ever since, including: first in the Southeast to perform the Crystalens® procedure, a cataract replacement lens that is also designed to correct vision at all distances and East Tennessee’s first onsite Custom LASIK surgical facility, the Campbell Cunningham Laser Center. 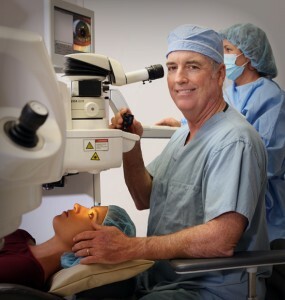 While he’s accomplished a lifetime of goals in less than 25 years in Ophthalmology, Dr. Cunningham is quick to point out that in his precision, technology-based specialty, there is always something new to learn and accomplish. Some of his best teachers in this process, he explains, are his patients, many of whom he has treated over the course of his entire career. Dr. Cunningham performing a Cataract screening. Most of those days start before dawn in order to arrive refreshed and ready for early surgeries. 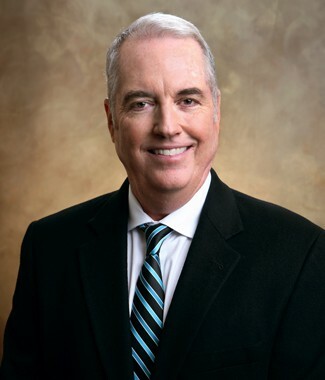 When Dr. Cunningham is able to take time off, he recharges by pursuing his passions: playing music with his three sons (two of whom are professional musicians), golfing, and spending time with his family. Whatever the activity, Dr. Cunningham usually finds a way to explore new destinations (like hiking Tanzania’s Mount Kilimanjaro with his eldest son) and always makes time to stop and talk to people along the way.